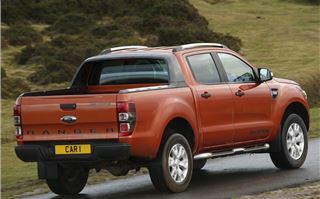 Meet the new Ford Ranger pick-up for 2012. 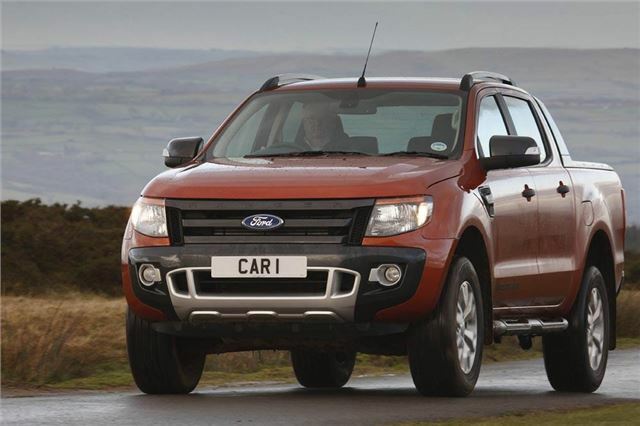 Every few years a manufacturer comes up with a new, bigger and better pick-up that suddenly changed the game. 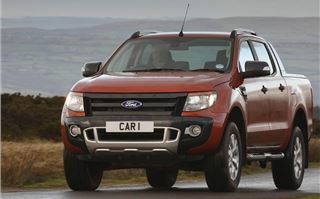 In 1992 it was the Isuzu D-Max (and its closely related Chevrolet Colorado). In 1994 it was the Toyota HiLux Vigo. 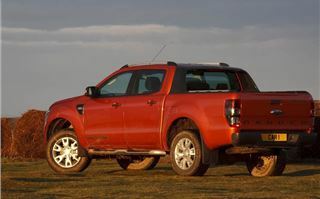 In 1995 it was the Nissan Navara in the UK and the Mitsubishi L200 Triton in Thailand. Since then, apart from facelifts, we’ve had a bit of a wait. VW made a big song and dance about its Amarok, that’s a nice truck, but underpowered. Isuzu and Chevrolet have been busy with new versions of the D-Max and Chevrolet Colorado, now on the road in Thailand. 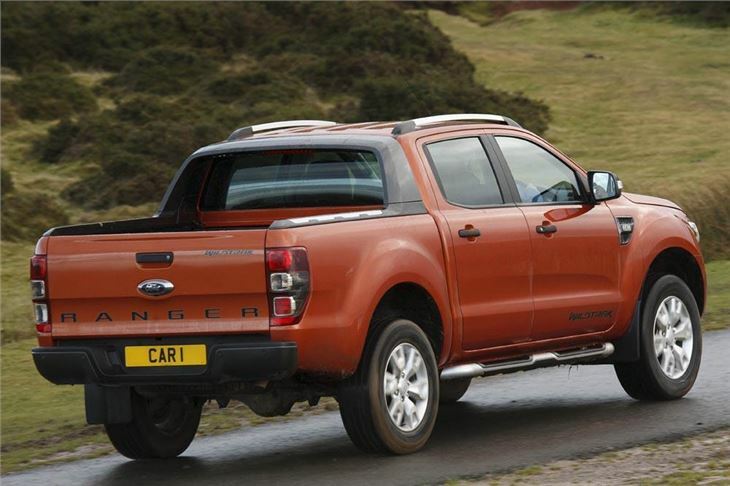 But the biggest news has been from Ford in the form of the all new Ford Ranger, that is actually completely new from bumper to bumper with not a single part carried over from the old Ranger. 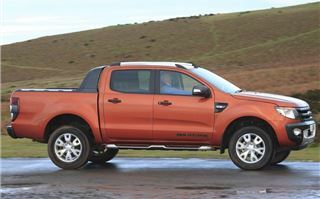 Previously, at 17’ 2” long the Nissan Navara was the biggest pick-up. 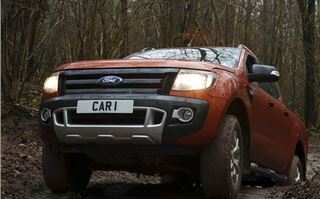 But the new Ford Ranger trumps it at 17’ 6” long. A good pick-up such as the last of the old model Isuzu D-Max would take a payload of 1,000kg and pull 3,000kg. 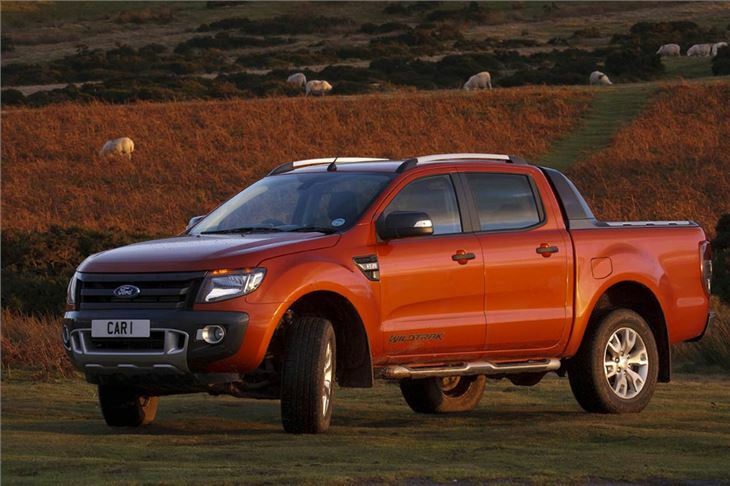 The biggest engine was the (rarely seen) 3.0 V6 diesel in the Navara. 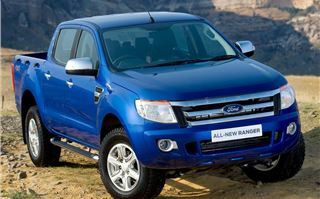 The new Ranger beats that with a 3.2 litre 5-cylinder chain cam diesel that pumps out 200PS and 470Nm torque. Yet, in case you’re worried that it’s all a bit too much, there’s also a 150PS 2.2 chain cam diesel with 375Nm torque, and a lead-in 2.2 with 125PS and 320Nm torque. 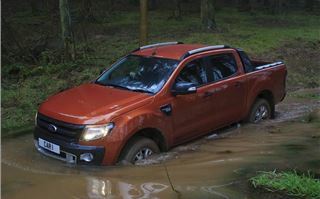 For the UK, apart from the XL 4x2, they’re all selectable four-wheel drive with low range, and most have a sophisticated braking system with ESP, traction control assist, hill descent control and hill launch assist. No limited slip diffs. It’s all done with the braking system. 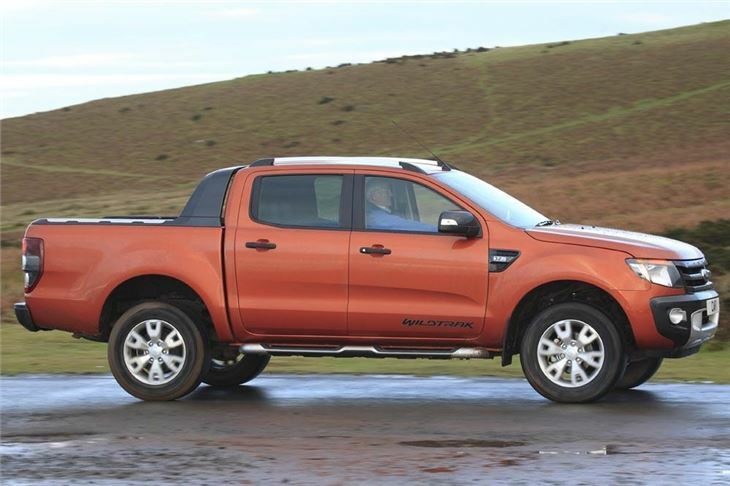 The new Ranger is the only pick up rated five stars by NCAP in its new crash safety system. 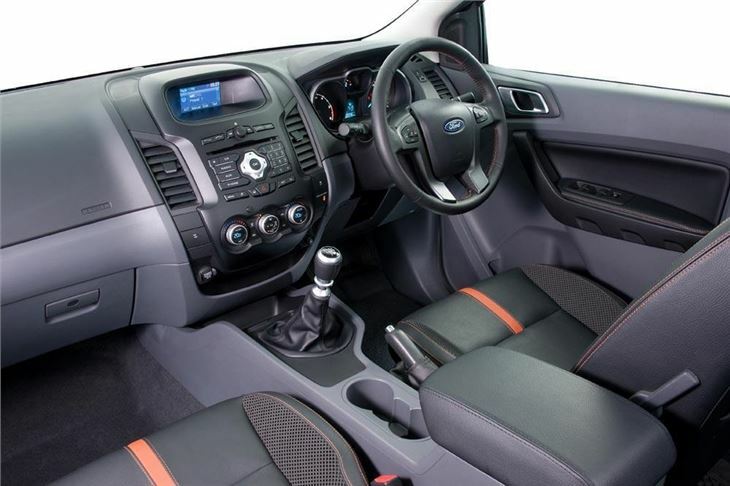 There are single cab versions, ‘supercabs’, double cabs and chassis cab versions for specialist bodies. 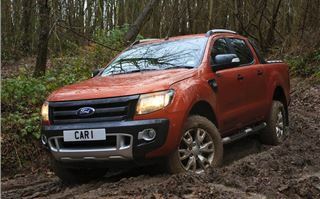 Trims start at XL 2WD Single Cab with a 125PS 2.2, from £14,753 + VAT. 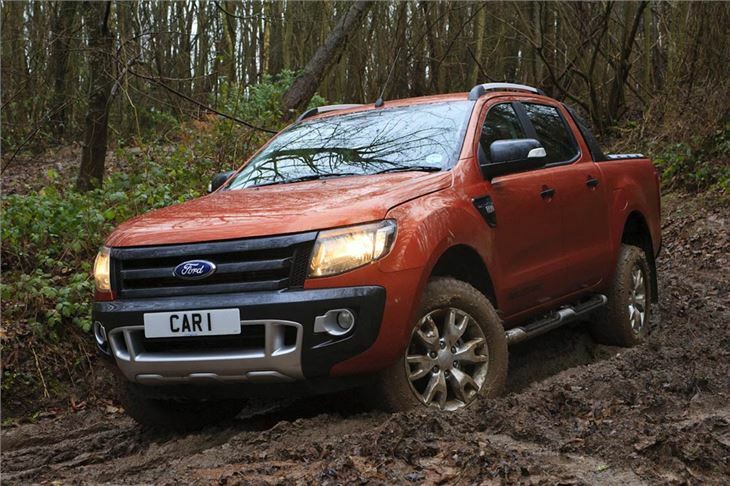 Rise through the 150PS 4WD XLT Super Cab with 150PS 2.2 from £18,570 + VAT. 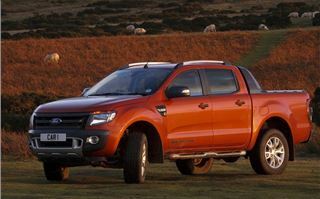 And top off with the 200PS 4WD Wildtrack Double Cab automatic at £24,278 + VAT. At every price point, for the kit you get, Ford reckons it has the opposition beaten by between £500 and £1,500. To drive, the 3.2 at first feels a bit gruff, but it’s certainly powerful and the 6-speed gearshift that initially feels a little rubbery changes positively. Ride quality is okay, remembering that, like all pick ups the rear end is leaf sprung. 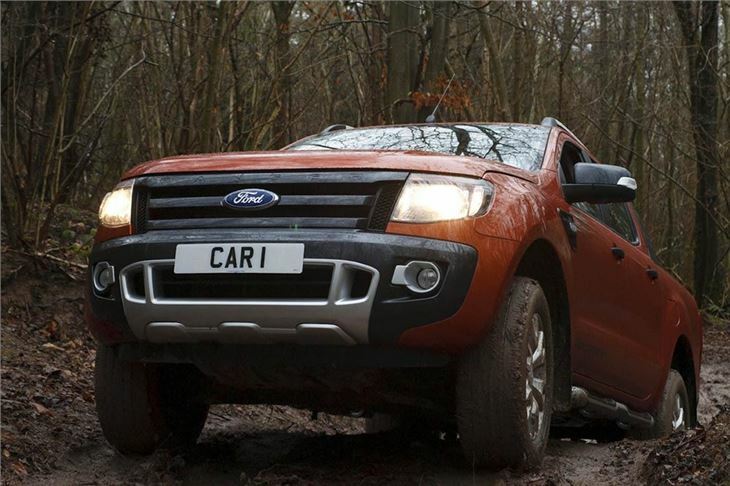 Switching to 4WD, which you can do on the move at up to 120kmh, tightens up the handling. 0-60 takes10.1 seconds. Top speed is 109mph. It’s also very relaxed. That 470Nm torque from a lazy 1,500 – 2,750rpm allows a lazy 40mph per 1,000rpm in 6th. So on the motorway you’ll be cruising at less than 2,000rpm. But the 2.2 150PS is no poor relation. It’s cunningly much lower geared at 32.5mph per 1,000rpm in 6th, so actually feels much more lively despite a slower 0-60 of 11.5. And a combined mpg of up to 34mpg makes a big difference over 20,000 miles compared with the 29.7mpg of the 3.2. I’d be perfectly happy with a 2.2. 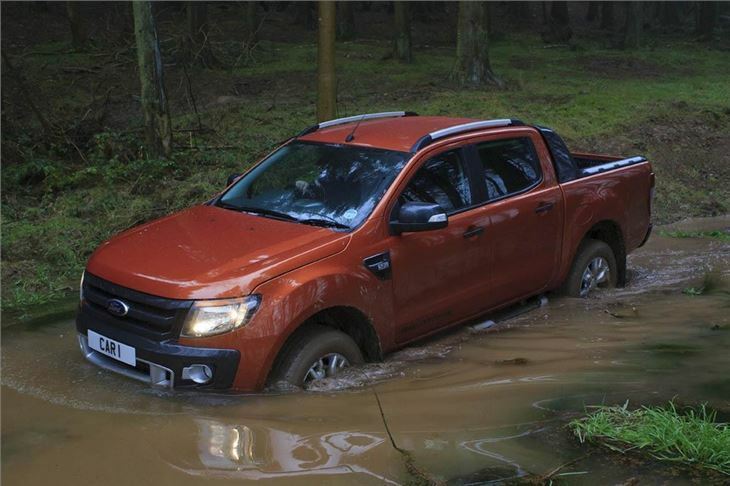 Off road, the 4WDs are capable, though would be more so on specialist tyres rather than the road tyres our trucks were fitted with. The lift-off hill descent control, with speed of descent raised or lowered by the cruise control on the steering wheel works well. 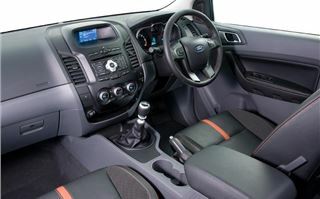 Hill start assist gives you 2 seconds to get off the brakes and onto the accelerator. Wading depth is 80cm, with the air intake protected high up inside the offside wheel arch. 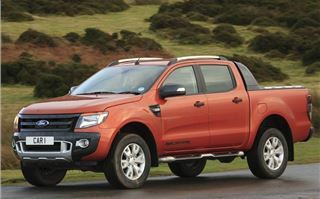 This is a properly designed, working 4x4 pick up. Not much point in digging deep into the spec. You can read that in the specs section. 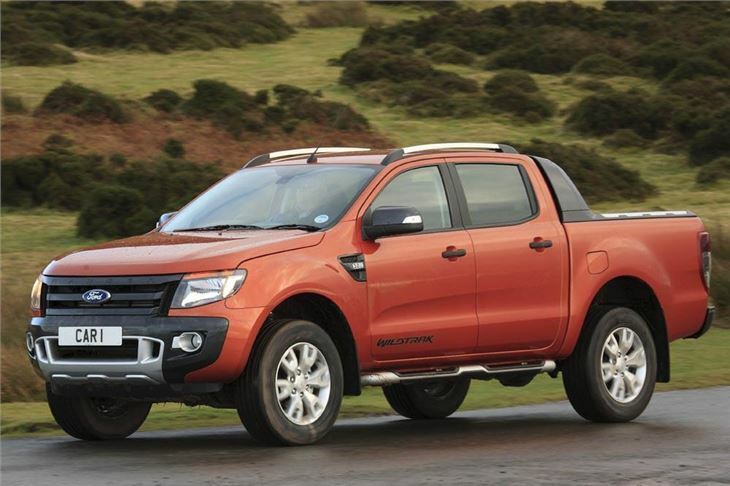 In Thailand where the new Ranger and its Mazda B50 cousin went on the road a couple of months ago, all the other pick up manufacturers are fighting back. Mitsubishi with new engines for the L200. Toyota with a 6-year warranty for the HiLux Vigo. Isuzu/Chevrolet with their new (but not ‘all new’) D-Max and Colorado. 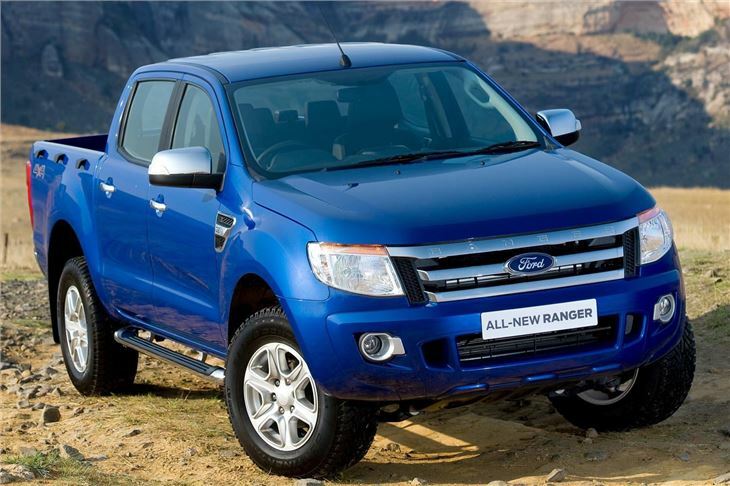 But there is little doubt who now makes the biggest and the best pick-up. Or who is going to dominate the pick-up market throughout the World.